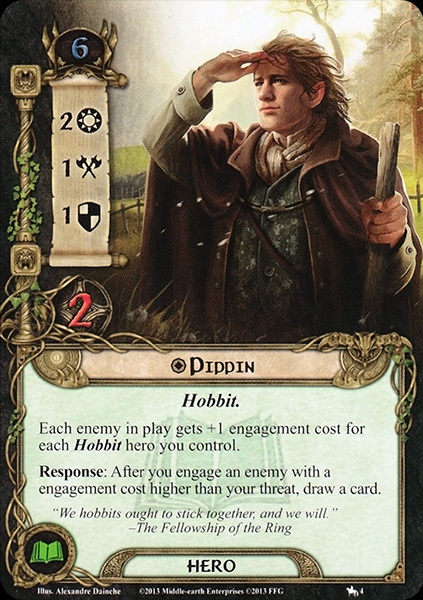 Each enemy in play gets +1 engagement cost for each Hobbit hero you control. Response: After you engage an enemy with an engagement cost higher than your threat, draw a card. "We Hobbits ought to stick together, and we will"